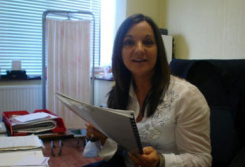 Mrs S Kanczes Daly has been working within Knowsley at a higher level since 1996. She is a qualified Clinical Teacher and Assessor and was formerly involved in the training and assessing of all Primary Care Staff (Doctors, nurses) etc. across Knowsley . She is currently a Governing Body member of Knowsley Clinical Commissioning Group (CCG) representing member practices and bringing specific expertise and experience to the work of the governing body who aim to improve the delivery of existing services and to develop new locally based services, based on the needs of the population, to benefit the whole community. This is a group practice and the clinicians work closely together. If a particular clinician is not available then an appointment can be made to see any of the other clinicians. Patients do not have to see the registered Doctor, but we still encourage patients to find the Doctor or clinician that they regard as their “usual clinician” and see them whenever possible. Nurse clinicians have undertaken a course of study at master’s degree (MSc level) and make professional autonomous decisions for which they are solely responsible. Nurse clinicians are therefore appropriately trained to see patients who traditionally have been seen by a general practitioner. As they can assess, diagnose, prescribe, request investigations and refer as necessary. They can also do home visits if required. Patients have opportunities to consult with primary care clinicians (nurse clinicians), GP or both. Nurse clinicians may become primary care providers for patients i.e. in the case of nurse led practices.